Thanks to everyone who played, everyone who listened, and to Guitars, Etc. for hosting. Boomer Music Company An awesome store staffed by awesome folks. Curious Automata My record label. Unusual music, ranging from early music to free jazz. Doug Carmichael Saxophonist and educator. Currently teaching in the St. Vrain Valley School District. Graphite Addiction We play world rhythms, jazz harmonies, and melodic hooks to keep you grooving. Guitars, Etc. 16,000 square feet of pure guitar heaven and Longmont’s best music lesson program. Longmont Jazz Association I’m a board member with this non-profit that supports jazz education and performances in northern Colorado. Pete Ehrmann Percussionist extraordinaire. We work together in Graphite Addiction, the Pete & Vic Duo and at Guitars, etc. Rich Carlson's TwistedDrums Rich is a killer rock drummer and teaches as well as he plays. He’s one of Colorado’s best, and Guitars, etc. is lucky to have him on staff. Richard Ellis An excellent guitarist, teacher, and human being. 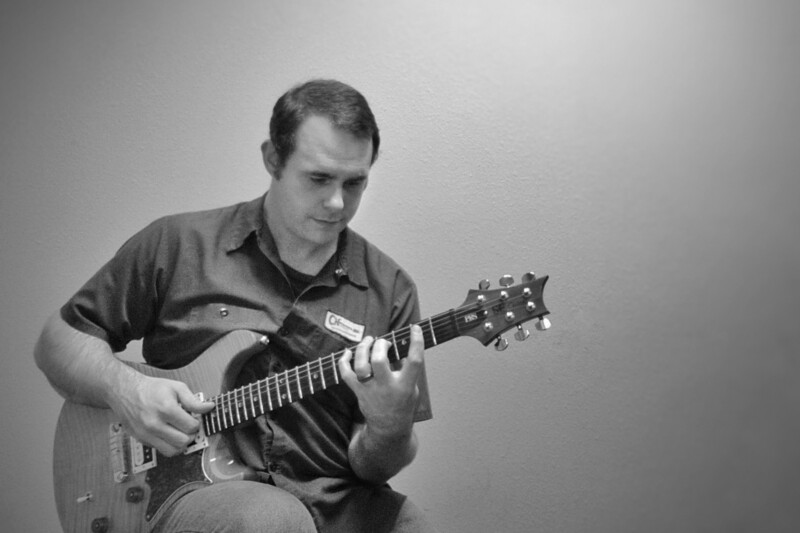 If you need fingerstyle guitar lessons at Guitars, etc., in Louisville, or Boulder talk to him. Tim Carmichael Melodic bassist. Fearless leader of Graphite Addiction and The TAC Project. Time Guru The best metronome. Excels at odd time signatures, mixed meters, and metric modulation. Also, it has a random mute mode for really challenging your time-keeping.